After indulging in a night of merriment during which bodily harm was meted out in equal parts upon both delinquent patrons and his own liver, Bristleback finally met his match. "Your tusks offend me, sir," he was heard to drunkenly slur to one particularly large fellow from the northern wastes whose bill had come due. What followed was a fight for the ages. A dozen fighters jumped in. No stool was left unbroken, and in the end, the impossible happened: the tab went unpaid. 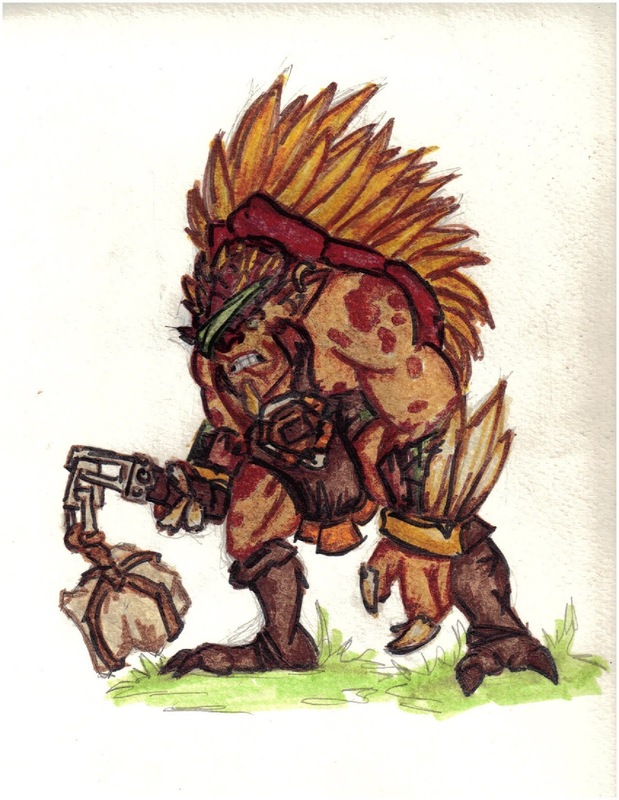 Over the weeks that followed, Bristleback's wounds healed, and his quills grew back; but an enforcer's honor can be a prickly thing. He paid the tab from his own coin, vowing to track down this northerner and extract redemption. And then he did something he'd never done before--he actually trained, and in so doing made a startling discovery about himself. 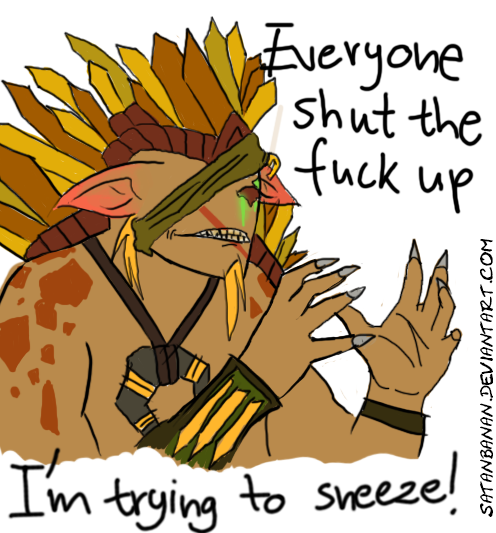 A smile peeled back from his teeth as he flexed his quills. Turning his back to a fight might be just the thing. Bristleback can be considered atanker and also can be build to be acarry hero. A tanker because he have the ability to reduce enemy's damage he receive. And he can also become a carry because he have the ability to increase his damage, and he also have the slow ability to help him chase his target. This skill is a great chasing skill. With stacking this skill into one enemy, you can harass hime asily because he will have a very slow movement and cannot run away. This skill is spammable. Deal small damage but will become a painful nuke because you always cast this every time. This will also trigger your ultimate which increase your damage to harass enemies more. This is your defense skill to become a tank. With this skill, your body will become hard and enemy will have a hard time knocking you down. And also you will automatically release your Quill Spray if you receiva damages. 'Temper, temper,' his mum always chided. But in a fight, a temper can come in handy. You get bonus damage and movement speed each time you cast any skill. So you must spam your Quill Sray and the Nasal Goo to increase your damage and movement speed. Why maxed Quill Spray first? This is your main nuke, you will need this for ganking, farming, and killing on early mid game. Why maxed Viscous Nasal Goo before Bristleback? You need Viscous Nasal Goo more than the Bristleback because you will need to chase enemy hero on early-mid game. Try to spam your skill Quill Spray once in a while. It will harass your enemy on the lane. Also don't forget to get the last hits and deny. You need golds to buy some items. And if you feel your enemy needs to be harass more, you need to cast Viscous Nasal Goo too and attack him. Beware from enemy's gank. You may buy some wards and place it on the rune spot to view if there is any enemy comes to you and you should retreat immediately if you see enemy is coming. Last hitting as Bristleback is not so hard, you have a nice early damage to do it, so keep focus and last hits the low HP creep. Mid game is the ganking time! Everybody will roam around the map and find somebody to kill. So always keep your eye on the important place from where the enemy can comes up and always be careful. Always remember to replace the ward if the time is up and also always keeps an eye on the vision from the wards. 1. Comunicate with your teammates about who should be ganked, you should focus fire on 1 hero in a gank, because if you don't communicate well you may attack A and your teammates attack B, and that is a bad gank and can lead to failure on getting the kill. 9. Remember that your spamming skill trigger enemy's magic wand so they will got the charge maxed easily. Late game is the time for big teamfights. What you need to do is apamming all your skills. Spam the Viscous Nasal Goo into squishy enemy first. And also don't forget to spam your Quill Spray to increase your damage more. And then after that you can right click the enemy. If you already bought good item, always use it on every teamfight. You may already bought a Blademail so don't forget to activate it through the battle. With the more stacking of Viscous Nasal Goo, your target become so much more vulnerable. it will be good for your teammates because the outcoming damage will increase dramatically. Remember that you are the tanker for your team. You should become the man that is in the front line of your team's line-up. And should be brave to attack everything in the way. You may also buy some survivability items like Tarrasque to increase your defense more. And if you are terribly lose the teamfight, retreat immediately. Why Blade Mail? After you initiate a teamfight, your opponent is likely to target you because they will hate you. So you can reflect their damege using this item. You initiate the teamfight and also tank the damages, and the will deal damages to the enemy!